CG Says: The 2019 Nissan Titan gains an available Fender-brand 12-speaker premium audio system, a new infotainment system with Apple CarPlay and Android Auto capability. King Cabs and Crew Cabs get standard Rear Door Alert system that helps remind drivers to check the back seat after the vehicle is parked. 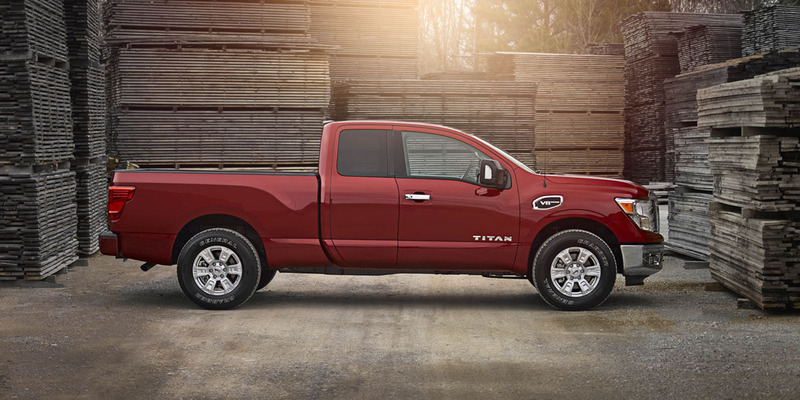 Titan is offered in half-ton and XD series. Titan XD essentially splits the difference between a traditional half-ton pickup and a heavy-duty three-quarter-ton model. Nissan claims the Titan XD model has a maximum towing capacity of more than 12,000 pounds, but offers the fuel efficiency and affordability of a half-ton pickup. Both series are available in regular cab, extended cab, and crew cab. XD is powered by either a 310-horsepower 5.0-liter Cummins diesel with 555 lb-ft of torque or a gasoline 390-hp 5.6-liter V8 with 394 lb-ft of torque. 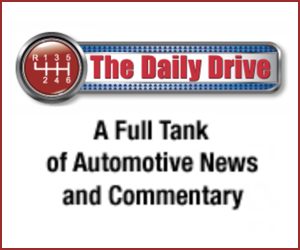 The 5.6-liter gas engine is only engine choice for half-ton models. The gas engine is paired with a 7-speed automatic transmission, while the diesel has a 6-speed automatic. Available features include blind-spot alert, LED headlights, heated/cooled front seats, 360-degree monitor, and trailer sway control. Titan’s 2017 and Titan XD’s 2016 redesign made it competitive with other full-size pickups. 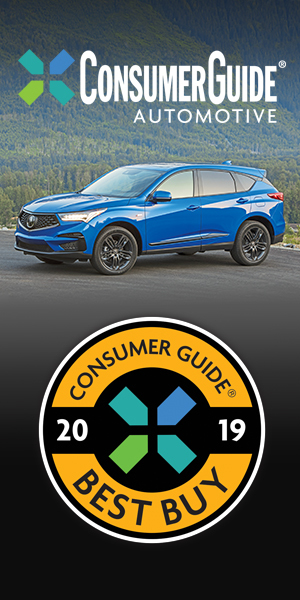 Plus, the XD’s middle ground between half-ton and three-quarter-ton might be just right for some customers. 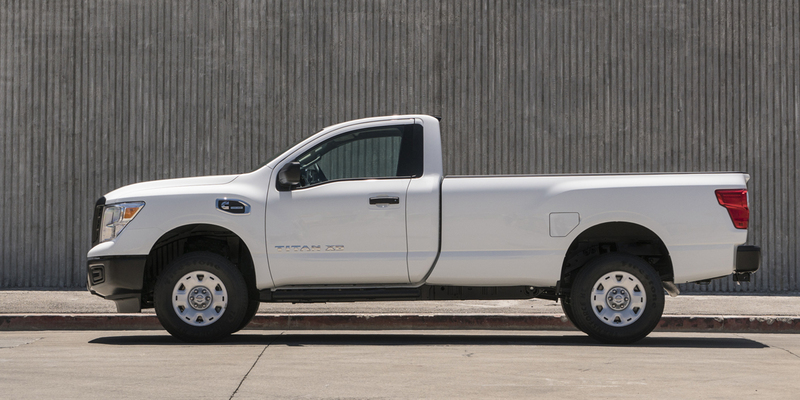 Titan’s generous 5-years or 100,000-miles warranty is another incentive for big pickup buyers to give Titan a look.